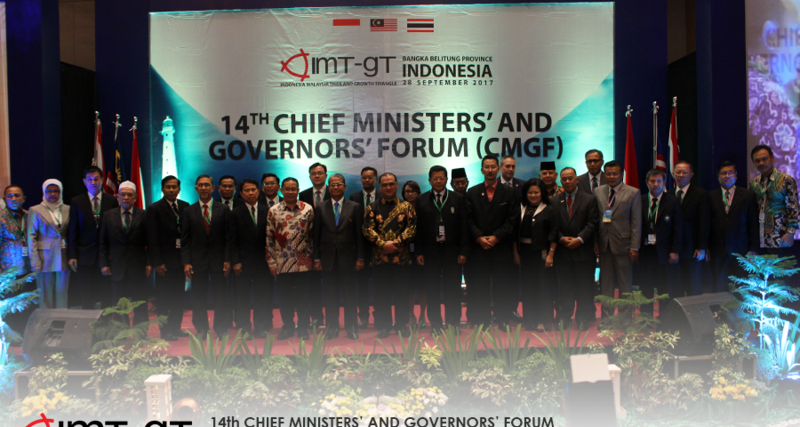 The 14th Chief Ministers and Governors’ Forum (CMGF) of the Indonesia-Malaysia-Thailand Growth-Triangle (IMT-GT) was convened on 28 September 2017 at Novotel Bangka and Convention Centre, Bangka Belitung Indonesia. The Indonesia Delegation was led by H.E. Erzaldi Rosman, Governor of Bangka Belitung Province also Chairperson of the Meeting. 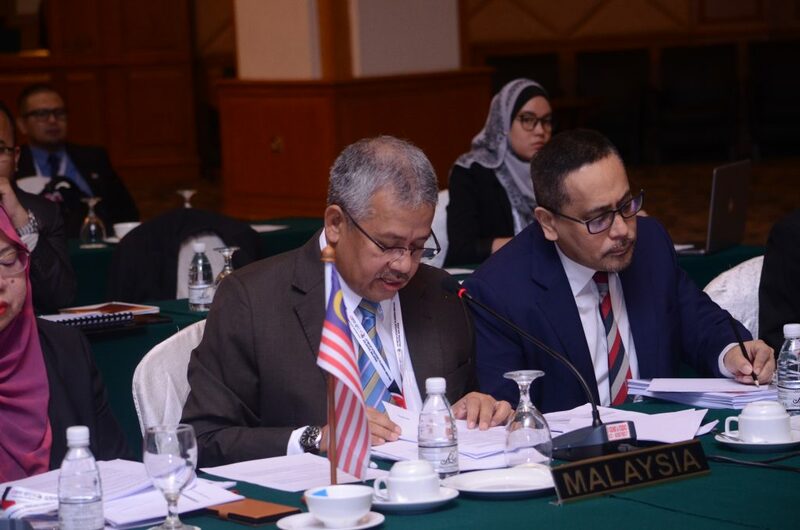 The Malaysian Delegation was led by H.E Dato’ Dr. Ku Abdul Rahman Ku Ismail, representing the Kedah State Exco, representing Chief Minister of Kedah. The Thailand delegation was led by Mr. Chatupot Piyamputra, Governor of Ranong, Ranong Province. The Meeting was also attended by respective States and Provinces, respective IMT-GT Senior Officials, respective IMT-GT National Secretariats (NS), Chairperson of IMT-GT Joint Business Council (JBC), delegates from Asian Development Bank (ADB) and Centre for IMT-GT Sub regional Cooperation (CIMT) and other members of the Chief Ministers and Governors Forum (CMGF). The CMGF promotes and facilitates IMT-GT projects at local government level. It also facilitates resolution of policy and regulatory issues affecting the implementation of IMTGT projects at the local level-regional Cooperation (CIMT). The forum have deliberated on matters concerning environment, states and provinces initiatives, University Network (UNINET) and many more. 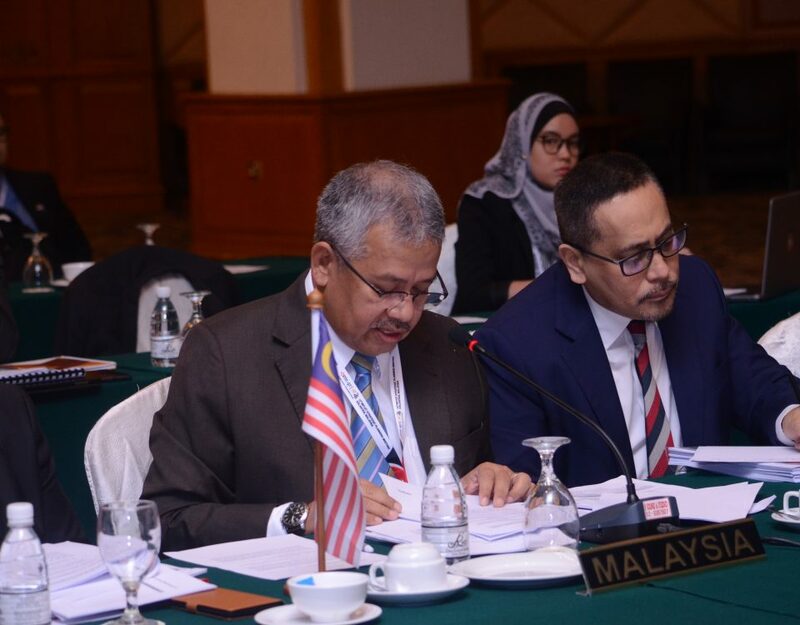 These discussion anticipated overwhelming commitments by the three counties of Indonesia, Malaysia and Thailand to propelling growth in the sub region socially and economically. The Meeting aims to review the progress and achievement that have been accomplished throughout the year along with future projects as well.